Wow! 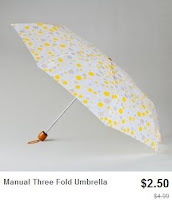 Head over to Totsy to find umbrellas starting at just $2.50! 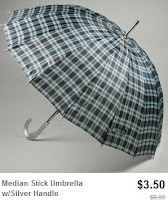 There is a very large selection to choose from in lots of different patterns and styles. These would make great, inexpensive holiday gifts! Even better, you'll get free shipping if this is your first purchase within 30 days of creating your Totsy account!